A Chesapeake Bay excursion steamer named after the president of the steamship line (a relative of the Duchess of Windsor). The ship sailed from Baltimore crewed by American volunteers, but nearly sank in a storm and was towed back to Norfolk, Va., March 1947. Her true identity exposed, she sailed from Philadelphia going to France and then Italy. At Port de Bouc, France, she was refitted to carry 5,000 people, and they came on board at Sète. She was followed by the British warships and 22 miles off the Palestine coast was surrounded by destroyers Childers, Charity, Chieftain, and Chequers, and cruiser Ajax, and rammed on both sides during a ferocious battle. Three Jews were killed including the American first mate, William Bernstein, and 146 injured. 1,942 men, 1,632 women and 955 children were loaded on the ships Empire Rival, Ocean Vigour, and Runnymede Park. They did not go to Cyprus but returned to anchor off Port de Bouc, France. France refused to permit them to be forcibly disembarked, although 103 elderly passengers were landed. After a three-week standoff, the British were forced to return the ships with their passengers to Germany, disembarking at Hamburg, where the refugees violently resisted. 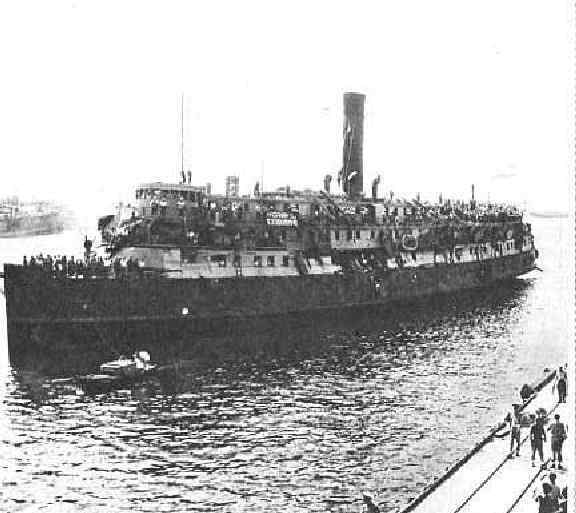 The Exodus refugees were given preference on later Aliyah Bet ships. Name: The full name of the ship was Exodus from Europe 1947, representing the recreation of the exodus from Egypt in modern times. Books: “Exodus 1947” by David C. Holly; “Destination Palestine” by Ruth Gruber (1948).